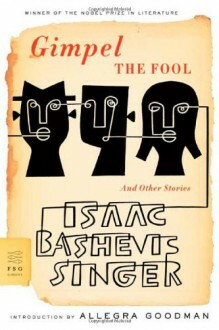 Isaac Bashevis Singer’s first collection of stories, Gimpel the Fool, is a landmark work that has attracted international acclaim since it was first published in 1957. In Saul Bellow’s masterly translation, the title story follows the exploits of Gimpel, an ingenuous baker who is universally deceived but who declines to retaliate against his tormentors. Gimpel and the protagonists of the other stories in this volume all inhabit the distinctive pre–World War II ghettos of Poland and, beyond that, the larger world created by Singer’s unforgettable prose.